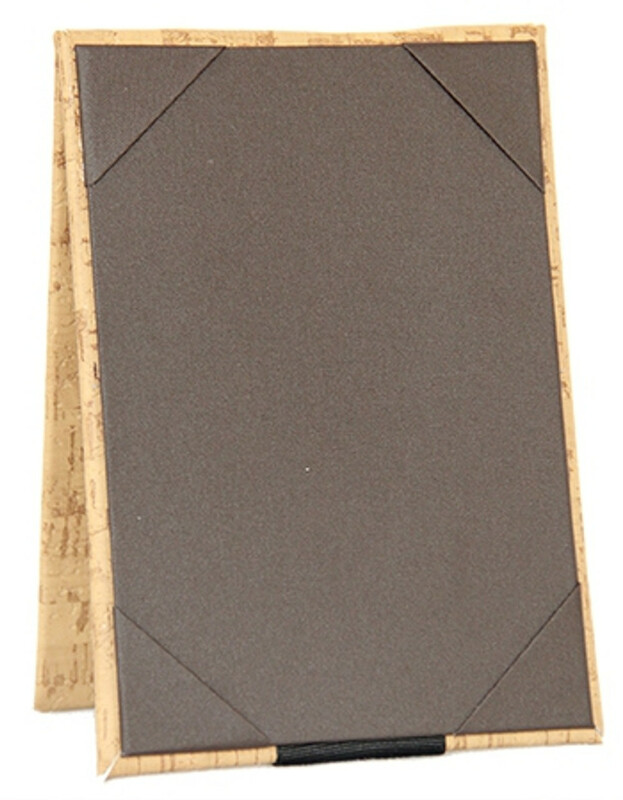 Synthetic wipeable cork material with choice of interior panel color. Cork Look Two View Table Tent 4x6 holds two 4" x 6" inserts in an A frame format. Custom sizes available. Synthetic wipeable cork material with choice of interior panel color. Cork Look Two View Table Tent 4x7 holds two 4" x 7" inserts in an A frame format. Custom sizes available. Synthetic wipeable cork material with choice of interior panel color. Cork Look Two View Table Tent 4.25x6.5 holds two 4.25" x 6.5" inserts in an A frame format. Custom sizes available. Synthetic wipeable cork material with choice of interior panel color. Cork Look Two View Table Tent 5x7 holds two 5" x 7" inserts in an A frame format. Custom sizes available. Synthetic wipeable cork material with choice of interior panel color. Cork Look Two View Table Tent 5.5x8.5 holds two 5.5" x 8.5" inserts in an A frame format. Custom sizes available. Synthetic wipeable cork material with choice of interior panel color. Cork Look Two View Table Tent 8.5x11 holds two 8.5" x 11" inserts in an A frame format. Custom sizes available. Synthetic wipeable cork material with choice of interior panel color. Cork Look Two View Table Tent 8.5x14 holds two 8.5" x 14" inserts in an A frame format. Custom sizes available.